The stunning and romantic atmospheres in multiple destinations - interesting history, culture, friendly people in Southeast Asia - excellent services provided will bring you and your life-partner a memorable honeymoon. Xin Chào! Welcome to Vietnam! Upon arrival, you will be met and privately transferred to the hotel. You will be offered a welcome drink and the tour briefings in the hotel lobby. Then check into the hotel for refreshments before transfer to an authentic restaurant for a welcome dinner. The rest of the day is at your leisure. After breakfast you will take an in-depth tour of the most interesting sites in Hanoi. The tour includes the visits to the Ho Chi Minh Mausoleum - Ba Dinh Square – The old residence of Ho Chi Minh – One Pillar Pagoda – Ethnological Museum – Temple of Literature – Ngoc Son Temple. 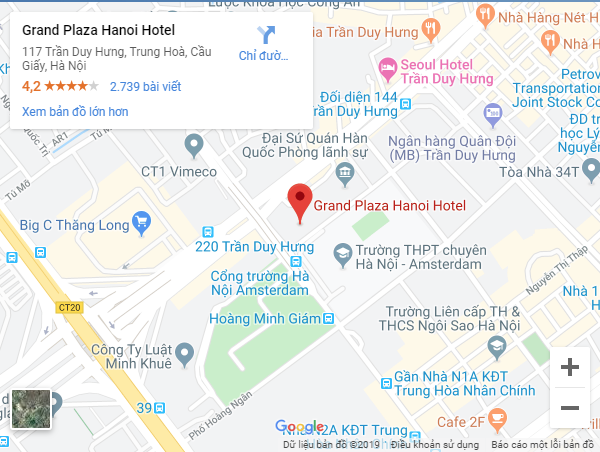 Afterwards you will take an in-depth walking tour of Hanoi Old Quarter for an overview of the local life and businesses before your return to the hotel. The rest of the day is yours. Up early – top deck – Tai Chi - enjoy your light breakfast – disembark for an easy exploration of the cave close by – return to your boat - check out your cabins – enjoy a nice brunch while sailing back to land. Upon arrival at the harbor, board your private transfer and head back to the airport in Hanoi. On the way back (if your time permits), visit Ba Vang Pagoda - a ceramic factory - proceed to the airport for your flight to Da Nang. Upon arrival, you will be met and privately transferred to your hotel. The rest of the day is yours. Breakfast – pick up from the hotel and take an in-depth walking tour of the most interesting sites in Hoi An, which include the Japanese Covered Bridge, Chinese Assembly Halls, Tan Ky Ancient House, and The vibrant market – time for rest and drinks or food (at your own expenses)- Board a traditional boat for a leisurely ride along Thu Bon River – stop off at Thanh Ha Ceramic village – wander around to learn about this craft village – return to the boat and proceed to Kim Bong Carpentry village – leave your boat and stroll around for an insight into this furniture making village – float along the river towards Cua Dai for a fantastic view at sunset before transfer back to your hotel. Today is yours. You will spend time at leisure to simply relax and rejuvenate. For those who wish to get out and explore, the following sightseeing tours are always available to be booked at an additional charge. Today is your, again. You will spend time at leisure to simply relax and rejuvenate. There will be some time free at leisure until your transfer to airport for a short flight to Nha Trang. Upon arrival, you will be met and transferred to your resort. The rest of the day will be yours to relax at the most beautiful sandy beach in Vietnam. Today you will have a great opportunity to discover the thermal spring of Thap Ba, which is very famous for mud bath. This kind of spa is supposed to be good for your health and skin. The private bathtub is always available for the couple to enjoy their time together. You will feel invigorated after this mud bath. You will have a whole day free for lazing on the beach, playing water games or doing whatever takes our fancy. For those who wish to get out and explore, the following sightseeing tour is available to be booked at an additional charge. • Take a short drive to Cau Da Quay where you will board a private boat. You will cruise to the Tri Nguyen Aquarium where you will have the opportunity to view innumerable kinds of salt-water fish. • Take a short 20 minute walk through the near-by fishing village before boarding a traditional Vietnamese basket-boat. Take the opportunity to enjoy this once-in-a-lifetime experience as you are rowed out to your boat in these delightful little craft. • Sail on to Hon Mun Island. This is one of the most beautiful bays in Nha Trang and here you can swim and snorkel amid the coral and multi-colored fish. Breakfast – transfer by car along the countryside road towards Ben Tre. Upon arrival, you will: visit a brick factory – board a traditional style boat for a scenic cruise along the Mekong River – make some stops at local houses along the way – hop on bikes for a leisurely ride through the countryside – lunch in a traditional Mekong village restaurant – board a motorboat to explore more of the Mekong Delta – return to the car for your transfer to Cai Be. The rest of the day is yours! You are up early for an early boat ride - visit the Cai Be floating market – visit the traditional cottage industry - stop off at Vinh Long - transfer back to Saigon. The rest of the day is yours. There will some more free time for you to relax until your transfer to the airport for your onward flight.